We prayed. We hoped. We tweeted. We wrote. We continued to support Star Wars: The Clone Wars after its untimely cancellation five years ago, and our dedication has been rewarded: The Clone Wars is finally coming back. The show's tenth anniversary panel at San Diego Comic-Con ended with a teaser for a revival series of 12 episodes coming to the upcoming streaming service Disney Direct. The teaser begins with ominous footage (likely produced only for the teaser) of rows of clone trooper helmets, many of them familiar, paired with a voiceover from various clones. Using the same music from the second Force Awakens teaser, it transitions into a sweeping shot of what seems to be Fort Anaxes. Anakin, Rex, and Bad Batch leader Hunter watch as a huge Republic fleet collects overhead. But the real emotion is saved for the end of the teaser. Rex summons Anakin and Obi-Wan to a surprise hologram meeting with a grown-up Ahsoka Tano and the Mandalorian leader Bo-Katan Kryze. "Hello Master," Ahsoka says. "It's been a while." While it's unknown exactly which unfinished episode arcs will be included in the revival, it's certain that we'll get the Siege of Mandalore, the original plan for the series finale that involved Ahsoka, Bo-Katan, and Rex and his troops liberating Mandalore from Maul's rule. 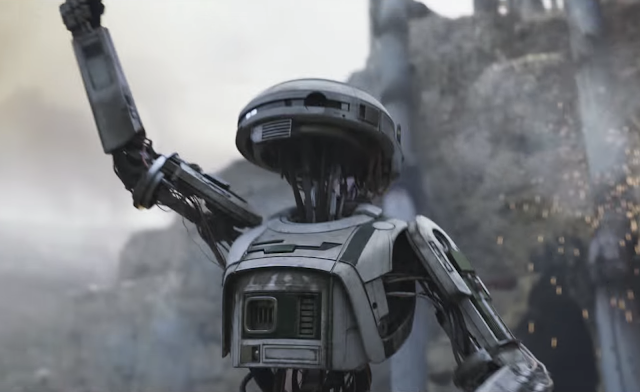 The footage of Fort Anaxes and Hunter also indicates that we'll see the Bad Batch arc, centered on the titular elite squad of clones. 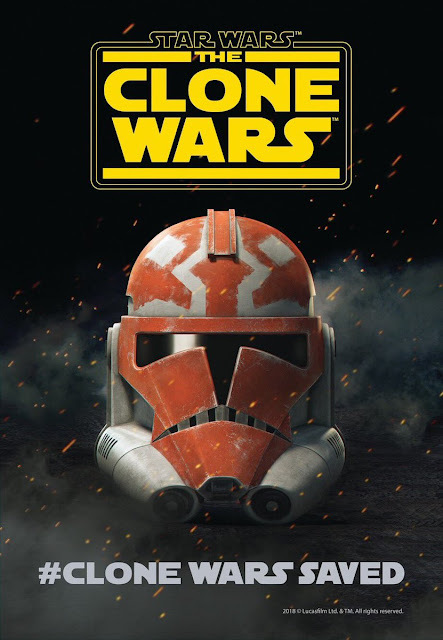 Additionally, a teaser poster simply shows a clone helmet painted to look like Ahsoka. This originates from sketches of how Ahsoka's clones decorate their armor during the Siege of Mandalore. 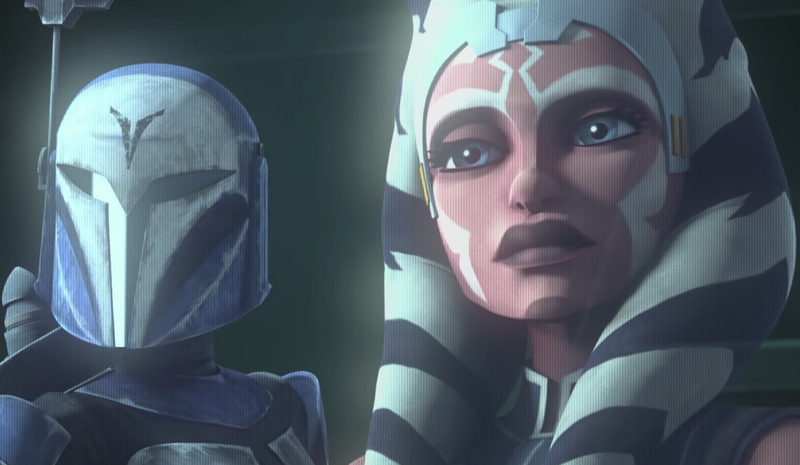 The image perfectly incapsulates two of the show's most beloved and unique elements: the clones and Ahsoka. On a scale of "a lot" to "I'm actually drowning," how hard are you crying over this announcement? Which stories and characters would you like to see in the revival? Tell me in the comments or tweet to @sithobserver, and may the Force be with you all.